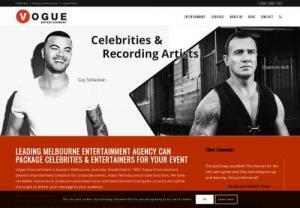 Melbourne Entertainment agency. Hire celebrities, bands and entertainers for corporate and private events. Australia's best event management and corporate entertainment. Take 3 Agency is the UK's No. 1 for Special Action Artists! We offer out professionally trained Special Action Extras (SPACTS) to Productions Filming around up and down the UK. You can win this Brand New Honda Activa 5G Scooty (worth ₹ 65,000) by simply donating from as little as ₹ 10 for the orphanage Udayan Care, one of Delhi's most loved NGOs. At Velterro, we're all about improving your life. We are a blog and business fully focused on self improvement. Whether that be through getting fit, making some extra money, learning to invest, or being more productive - Velterro has something for you, and it's all wonderfully free. Raven Digimark is the only online promotions company in India which specializes in promoting regional cinema. 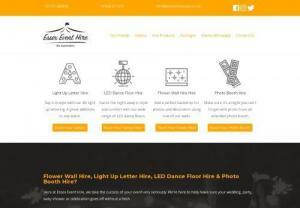 If Website promotions are the requirement, Raven Digimark is the answer. Our approach is unique because before we prepare a plan, targets make a point to understand the audience well. Mansion Entertainment AZ offers fun live entertainment in Arizona for your group or corporate event. Shows feature unique comedy, audience participation, music and dancing. Entertaining the Valley since 1989 with one of a kind specialty productions. Approach entertainment India's Leading Bollywood Celebrity Management, Entertainment, Events and Films Productions marketing Company. The 46-day Holiday Carnival brings gaiety and revelry for the holiday makers. It's wonderful for families to share and celebrate the excitement that Ramoji Film City has to offer! Come and rejoice in myriad flavors. Chasing a wedding singer? Quenel has over 10 years exp and over 1000 gigs under his belt. Check out the website to listen to the latest demos. Servicing areas but not limited to Brisbane, Toowoomba, Gold Coast and Sunshine Coast. 1st Choice offer a wide range of inflatables suitable for weddings, school fun days, corporate entertainment, kids parties and much more. What's On In New York? Log on to Free Event Finder to find fun activities to do this weekend & stay updated with our calendar about upcoming events in NYC. Paparazzi have also found a new place to follow the Bollywood actresses and that's their gym! As we are talking a lot about the gym looks, let's list down 5 Bollywood actresses with the best gym looks. With Easter approaching this weekend, South Florida is bursting with plenty of festive and fun things to do.